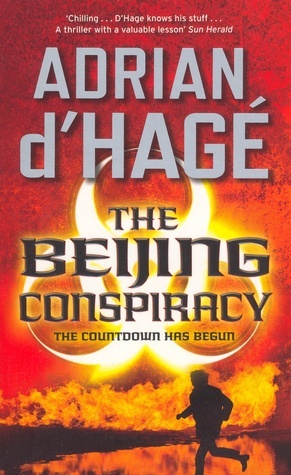 This is the message that Adrian d'Hage seeks to send out through his latest offering "The Beijing Conspiracy". In a world scattered by ever growing differences in ideology and faith, d'Hage seeks to emphasize on his message that we are more alike than we are different and that our differences are something to be rejoiced and learnt rather than discarded and diminished. Carrying on the theme established in his first book The Omega Scroll d'Hage explores the concept of biological terror attacks this time around. Dr. Khaled Khadeer the mastermind of Al-Qaida from the Uighur Mountains of China launches a series of brazenly evocative terror strikes at America and her forefront allies in the so called war on terror - UK and Australia. The attacks start off in Australia and lead to a chilling coordinated dirty bomb strikes on San Francisco, London and Sydney. The attacks are preceded by warnings messages, where Dr. Khaled lays down some simple rules for the Western countries to follow: Stop the incessant war in Iraq, Afghanistan, Engage the governments of Syria and Iran in talks, Withdraw from the holy land of Mecca & stop ignoring the systematic human rights abuses in China and Saudi Arabia. The message contains coded warnings of the strikes to happen and speaks of a final solution, a biologically engineered virus “Ebolapox” combining both Ebola & smallpox which will be released in time for the Beijing Olympics. With the incumbent government hardening its stand of not talking with terrorists and being involved too much in rhetoric and chest thumping, it left unto CIA agent Curtis O'Connor and leading virologists Dr. Imran Syed and Dr. Kate Brainwaithe to stop Dr. Khadeer from releasing the virus on unsuspecting people. The plot is good and what makes it believable is that the attacks orchestrated as a part of the warnings can be seriously be implemented. Modern day terrorists don't lack for the means, be it anything money, equipment, intelligence. Human greed and vanity is perhaps our greatest bane and combined with the rise of power hungry people looking to push their own agendas no city in the world is safe. There is only so much that can be done by the people out defending us. The events leading up to the first warning occupy some 60 odd chapters while the warnings and the aftermath are covered in the remaining 40 odd chapters. The latter half of the story seems rushed as it the author were trying to end the story to keep the page count down. The book holds a person's attention; but it was too hastily wrapped up. The author spent a lot of time in laying down the groundwork for the events in the book, the events themselves were a bit short on the detail and the story came to an abrupt end with several plotlines left hanging. Too many things are left unfinished like what happens to Khadeer at the end. The animosity Khadeer harbors towards the Han Chinese in general and General Ho in particular. Even though the book is called “The Beijing Conspiracy” it does not go much into China and the Olympics are just mentioned in the passing as if it’s being used as a plot handle rather than being an event of significant importance. It still makes a good read and throws up a lot of common sense ideas to stop the world going down the drain hand over fist.